He is a qualified engineer from Nigeria who has become a super star in China. His stage name, Hao Ge, could be translated into "good song." Discovered by virtue of a reality TV show in 2006, Hao Ge has since become a force to reckon with on the Chinese entertainment scene. It is the same décor and chereography at every show: Hao Ge walks through a door in a halo of light as his Chinese musicians strike the first notes of the intro... He walks down the steps into sci-fi-like rays of spotlights. In the background, flashy neon lights spit luminescent signs on floors and walls as Hao Ge majestically moves into the centre of the stage where more spotlights illuminate his attire — often a black suit and an orange or blue shirt. And sometimes — on special occasions like the Chinese New Year show, the most-watched programme on state television — Hao Ge dons a white suit that highlights his chocolate complexion. 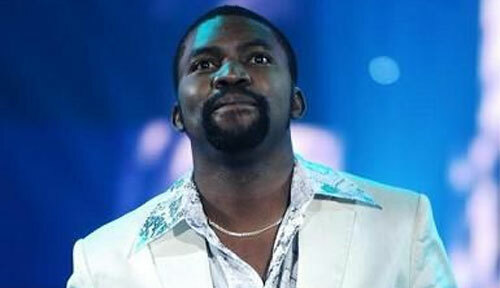 Hao Ge, whose real name is Emmanuel Uwechue, has become the first African to gain a super star status in China. The 33 year-old Nigerian who sings in Mandarin is seen as a co-equal of some of the greatest Chinese artists like Sun Nan, Na Ying and Han Hong ... And if these Chinese celebrities are virtually unknown to the outside world it is for good reason. China has a reputation for exercising a rare culture of artistic protectionism. A culture that enables only a handful of Chinese singers to pursue their careers abroad, and reciprocatedly, very few foreigners have ever tried to pursue artistic careers in China. This makes Hao Ge’s success an overwhelming achievement. But to begin with, he had to learn the language right from scratch. Emmanuel Uwechue left Lagos, Nigeria in 2001 after a Chinese friend advised him to move to Beijing, the Chinese capital. He almost immediately began singing in bars, and although rice alcohol connoisseurs did not seem bothered by his presence as long as they sipped to the tunes of "romance songs" success was not an overnight achievement. It was not until 2006 when he finally met a leading music producer in China that his career really took off. The same year he participated in a reality TV show: Xin Guang Da Dao, the Chinese equivalent of American Idol. His songs in Mandarin, his accent and his inevitable taste for good clothes have won the hearts of many young Chinese. Each of his performances is met with electrifying enthusiasm from the public whilst the media cashes in on a rare Chinese phenomenon. An article published on QQ.com, a Chinese social networking site, was titled "The African who is seeking his dream in China." A documentary that traces Hao Ge’s history and extraordinary journey has been produced and beamed on Chinese airwaves. In addition to the great lengths he went in order to learn and refine his Chinese, for the sake of his fans, Hao Ge has had to minimize political references in his songs as required by the Chinese government. Afterall, Emmanuel Uwechue is from the land of great political and social singers like Fela Kuti, Sonny Okosun, Asa… and needs to know that political and social activism in music is not very Chinese. Hao Ge is now part of a new group that recently played a session and revealed twelve of their own songs. A "radical" change from the usual Chinese crooner style songs, but styles that will not be accepted by Chinese pop music producers. Hao Ge prefers more upbeat and rhythmic songs and less naive lyrics. He dreams of conquering the rest of the world.